US President George W Bush has said that US troops will pull out of Iraq if the new leaders to be elected on Sunday request it. Speaking in an interview with the New York Times, Mr Bush said Iraq is a sovereign government and there is no doubt that his troops would withdraw, if asked by the elected officials. This is the first time in the almost two-year occupation that Mr Bush has said he would withdraw his forces on these grounds. However, he said he expected the Iraqis to ask the US troops to say on in the Gulf country as helpers, not occupiers. He said most of the Iraqi leadership believes there will be a need for coalition troops until Iraqis are able to fight. 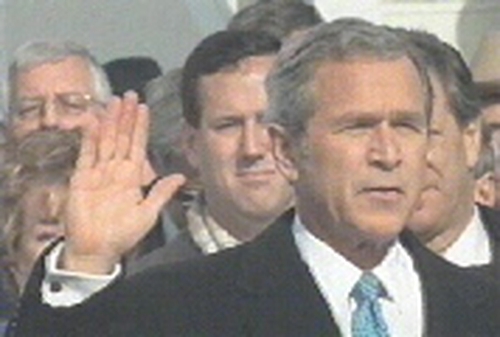 Mr Bush added that coalition troops can help provide the stability needed to gain confidence in the government. Meanwhile, former US President, Jimmy Carter, has said there is no indication Washington will allow Shiites, the majority group in Iraq, to control the country's foreign and domestic affairs in the future. Speaking in an interview with the BBC, Mr Carter also said there is no sign of an exit strategy for US troops. He said the US would never have gone into the Gulf country if he had been in charge.